Home/Bramley & Gage/Dry Vermouth (37.5cl) 18% ABV. 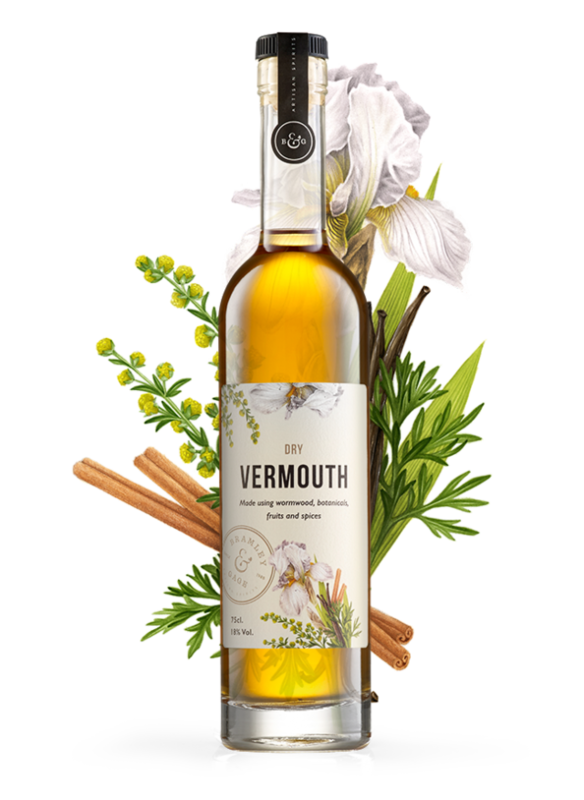 Made using wormwood, botanicals, fruits and spices this carefully crafted English Vermouth uses 12 specially selected botanicals and fruits that are infused in a dry wine for a distinct aromatic flavour. Made using wormwood, herbs, fruits and spices this carefully crafted English Vermouth is made from 12 specially selected botanicals and fruits that are infused in a dry wine for a distinct aromatic flavour. Enjoy it neat for the original aperitif; try our simple, but impressive Sea Bass dish; or pair with our 6 O’clock Gin for the perfect Martini.